Please complete the following form carefully. Then answer the questions below and click the "Submit" button to register for a FREE magazine subscription. 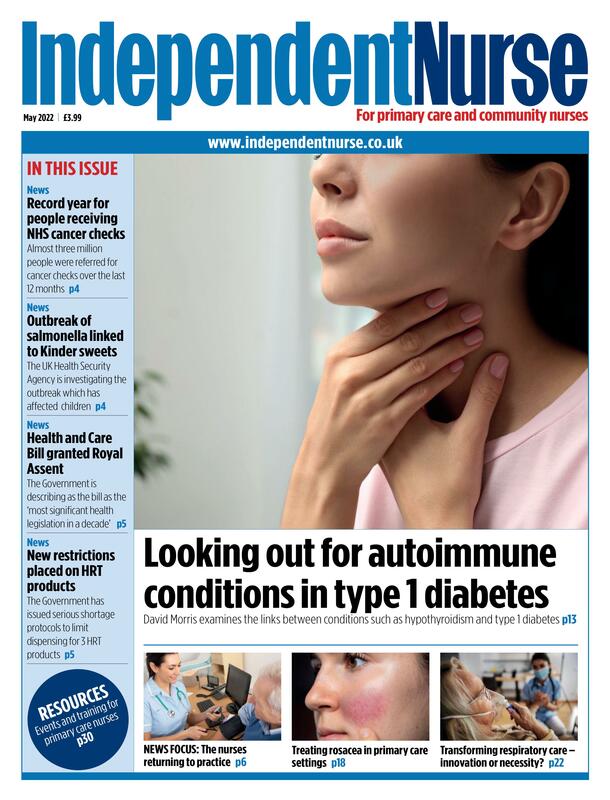 Independent Nurse is a monthly magazine that provides the latest clinical and political news for primary care and community nurses plus opinion from leading figures within healthcare. It also offers clinical features that focus on real-life medicine and are specifically relevant to the everyday needs of its readership. Clinical features provide effective diagnosis and treatment advice, guidelines, prescribing information and practical case studies. I wish to receive FREE copies of Independent Nurse regularly. I do not wish to receive FREE copies of Independent Nurse regularly. In which of the following areas do you specialise, have a special interest, run a clinic, see patients or decide on suitable treatments?